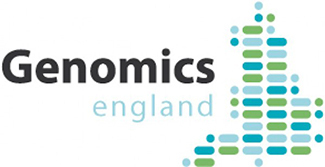 Genomics England was set up by the UK Department of Health to deliver the 100,000 Genomes Project. Initially the focus will be on rare disease, cancer, and infectious disease. The project is currently in its pilot phase and will be completed by the end of 2017. 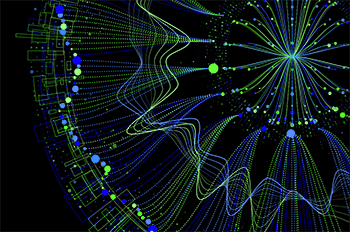 These are exciting times for large-scale sequencing projects. Last week, U.K. Prime Minister David Cameron announced over £300 million ($509.4 million) in new investments for Genomics England, which aims to sequence, analyze, and store the genomes of 100,000 UK National Health Service (NHS) patients by 2017. The investments include about £162 million ($275.1 million) from Illumina Inc. (NASDAQ:ILMN), the partner for the sequencing element of the project. In turn, Genomics England will pay Illumina about £78 million ($132.4 million) for its services. At the same time, the Wellcome Trust will put £27 million ($45.8 million) into a new sequencing hub at its genome campus in Cambridge; the Medical Research Council, or MRC, is investing £24 million ($40.7 million) to support data analysis and interpretation, and the NHS will make £20 million ($34 million) available for the establishment of patient sequencing centers. This is a prime example of how the implementation of sequencing technologies promises to drive a revolution in the structure of medical research. These new projects aim to capture more data on human DNA than ever before, with the goal of advancing care and solving healthcare challenges. The 100,000 Genomes Project, developed by the NHS, has the potential to significantly influence the global community through its plans to integrate sequencing data into standard medical practice. 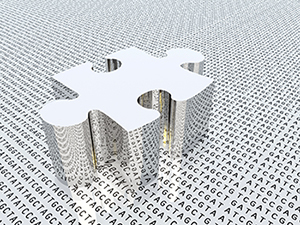 Genomics England plans to generate 100,000 whole genome sequences from NHS patients with cancer, rare diseases, and other conditions, and to share the resulting data for research and development purposes. In the early phases, the program will also seek to develop standards for consent, sample storage, data generation and variant analysis that may be useful for many other organizations conducting large-scale projects within public health systems. The project is enlisting the help of organizations from around the world to undertake this significant effort. In fact, it recently selected Illumina to conduct the sequencing efforts and is evaluating technologies for storing, annotating, and interpreting the data so that it can be used for both clinical diagnostics and drug discovery, development, and delivery to the right patients. The challenges of analyzing data on such a large scale are formidable, but the end result carries great potential to address some of the significant unmet medical needs. NextCODE’s technology has already accomplished analytics on this scale based on its work with the Icelandic population through deCODE genetics. It’s an exciting prospect for advancing the future of genomics-driven medicine and one to watch. Lower-cost genome sequencing, genomic analysis tools, and reference databases for human genomes are the “3-legged stool” that will help the world reach personalized medicine. Genome sequencing technology available today can accurately sequence a whole genome from an individual’s test sample for a surprisingly low cost—a few thousand dollars (and dropping fast). As a result, the adoption of this technology is rapidly expanding as medical centers around the world embrace its utility in informing healthcare decisions—an emerging reality of personalized medicine. Lower-Cost Genome Sequencing: Major technological advances have reduced the cost of sequencing to nearly $1,000 or less, a critical milestone to enable the use of sequencing as a mass-market product for medical care. Reference Databases for Human Genomes: There are a growing number of robust databases of human genomes, including data for healthy people or those with certain diseases. 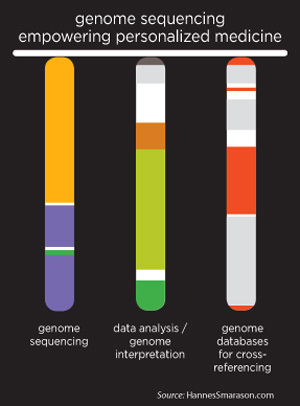 When properly analyzed, these databases offer the potential to provide the medical community with a reference library against which to compare genetic data. Large-scale, high-quality databases are an essential element to cross-reference a patient genome to guide more informed medical decisions. These three technology domains represent the “3-legged stool” that will help the world reach personalized medicine. The technology is in place, and the corresponding insights and uses are expanding every day. Yet there are challenges to be resolved before implementing these tools on a universal basis. For example, logistically, how will new DNA and supercomputing equipment be accessed by medical centers, and how will the data be stored? And more importantly, what is the most efficient way to compare an individual’s genome to the massive body of genomic information available to help inform medical decisions for that patient? One important part of the solution: we must turn to “big data” solutions to manage and make use of the enormous amounts of data produced through sequencing. The whole-genome sequence of a single human is roughly 100GB—that’s the entire storage capacity of a single Macbook Air®. The progress to date has been amazing. Yet the opportunities ahead are even more extraordinary to improve the speed, accuracy, and accessibility of genomic information to improve human health. The achievement of low-cost genome sequencing and the use of genomic data to better understand diseases are advancing the exciting new era of personalized medicine. It’s been more than a decade since the human genome was first sequenced. Since then, we have been on the journey of applying this profound new discovery to create personalized medicine and advance human health. 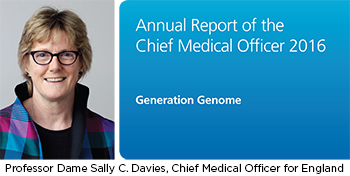 Each of these accomplishments has been a stepping stone into the exciting new era that is dawning now: where genomic information is becoming integrated into medical care. Let’s take a look back at the early days of using genomic data to connect the dots between genetic mutations and disease. From 1997-2004, I was part of the leadership team at deCODE, the Icelandic genomic company. This was the period when deCODE was building the world’s most productive human genomics platform, with a database of tens of thousands of individuals who participated in genetic studies and including the largest database of genomes to this day. deCODE’s genomic engine was able to successfully identify the genetic variations associated with human disease. This resulted in dozens of groundbreaking discoveries that were published in major, peer-reviewed journals. The legacy of deCODE was the creation of an industrialized platform capable of massive storage and analysis capabilities. This enabled researchers to crunch genomic data to gain insights about genetic variants, or risk factors, associated with many common diseases. deCODE’s premise was that once the genetics of disease was better understood that information could be used to create new ways to diagnose, treat and prevent disease. However, when I left deCODE in 2004, there were still barriers to overcome before this genomic information could be widely applied to the level of an individual patient. Chief among them was that the cost of genome sequencing was still prohibitively high. (deCODE was subsequently acquired by Amgen). Back in 2004, the cost to sequence a single human genome was hundreds of thousands of dollars. Today that cost is a few thousand dollars (and, in fact, fast approaching $1,000) for a whole genome sequence. 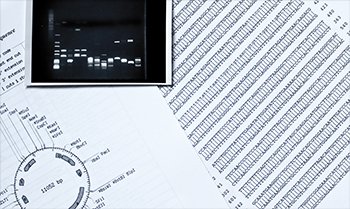 DNA sequencing costs continue to fall, as speed and accuracy increase. This means we are rapidly approaching a tipping point where, as the sequencing of human genomes becomes more economical, its adoption in the medical community becomes more widespread and genomic data can become more routine in medical care. This is why personalized medicine is becoming a reality. The steep drop in the costs of sequencing, combined with the explosion of research on gene variants and disease, mean the time is fast approaching when genome sequencing will become routine in medical care. Today, pathologists perform blood cultures to decide which antibiotics will stop a patient’s bacterial infection. Soon a patient sample can be taken to perform a genome sequencing to analyze the genetic characteristics of a patient to determine ways a disease can be prevented or, if they are sick, which treatments might work best for their disease. The body of genomic knowledge and the large databank of human genomes built by pioneers like deCODE established the key building blocks that enable genome sequencing to have predictive power for individual patients. As more human genomes are sequenced and more genetic variants are associated with disease, the predictive power of knowing about risk genes and effective treatments for each patient – a.k.a. personalized medicine – will become an essential part of medical care. In preparation for the future of personalized medicine, major medical centers in the U.S., Europe and Asia are actively beginning to install DNA sequencers and supercomputers as important tools for integrating genome sequencing into medical care. These medical centers are taking initial steps toward the routine sequencing of every patient’s genome to define the ideal course of prevention and treatment based on variants found in a patient’s genes. Phoenix Children’s Hospital opened a new institute in December 2012 to sequence the genomes of 30 percent of their childhood cancer patients. For now, the use of whole genome sequencing in medical practice is still in its infancy, but the pace of progress continues to accelerate. Clearly, genome sequencing will soon become part of the nucleus of medical care. This will herald a new era in personalized medicine revolutionizing healthcare as we know it and transforming our lives. When do you think genome sequencing will become a part of the medical decisions in your life? The unanimous decision by the Supreme Court Justices to strike down patent claims by Myriad Genetics on the BRCA gene is a milestone that will greatly shape the future of the genetic testing industry and, in fact, accelerate progress toward the use of whole-genome sequencing for patients well beyond breast cancer. 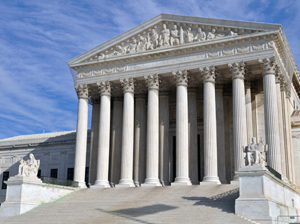 Recently the Supreme Court struck down patent claims by Myriad Genetics on the BRCA gene. The Court ruled that while synthetically produced DNA may be patentable, isolated genomic DNA (gDNA), discovered in nature and separated from its environment in the cell, is not patent-eligible. The unanimous decision by the Supreme Court Justices has significant implications for patients, physicians, and the health care and life sciences industries. In many ways, this is a milestone that will greatly shape the future of the genetic testing industry and, in fact, accelerate progress toward the use of whole-genome sequencing for patients well beyond breast cancer. 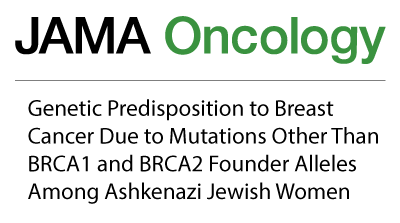 Within a day of the Court’s verdict, 10 companies announced their intention to compete with Myriad—and more are sure to follow, as BRCA has proven to be a very relevant gene for assessing risk levels, disease targets, and potential treatments. While this industry flurry illustrates the potentially significant commercial opportunity here, the greater implication is that the landscape is beginning to shift toward sequence analysis on a genome-wide basis rather than on individual gene testing. Because fundamentally, the gene-by-gene approach to genetic testing that would be necessary if individual companies had patents on certain genetic tests is un-economical and wasteful, compared with the scope of knowledge and insights to be gained from a whole-genome sequencing analysis. As evidenced by Myriad’s recent announcements to abandon individual BRCA testing by 2014, it seems they also acknowledge this trend. Ultimately, then, the future of competition in genetic testing will be driven by the ever-improving tools for sequencing, managing genomic data, and manipulating large data sets—and not simply by patents on DNA sequences discovered in nature.